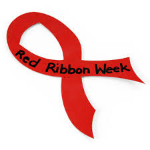 Red Ribbon's week is October 23-31, 2018. Our pack will help Hidden Hills Elementary to hang and take down the ribbons. Our coordinator, Diana Kaplenko in Wolf Den 3, has set Red Ribbon hang up date to be Sunday the 21st at 3pm; and take down the ribbons on Saturday the 27th at 3PM. Scouts should wear Class-A uniform and meet at the Hidden Hills Elementary Parking lot.